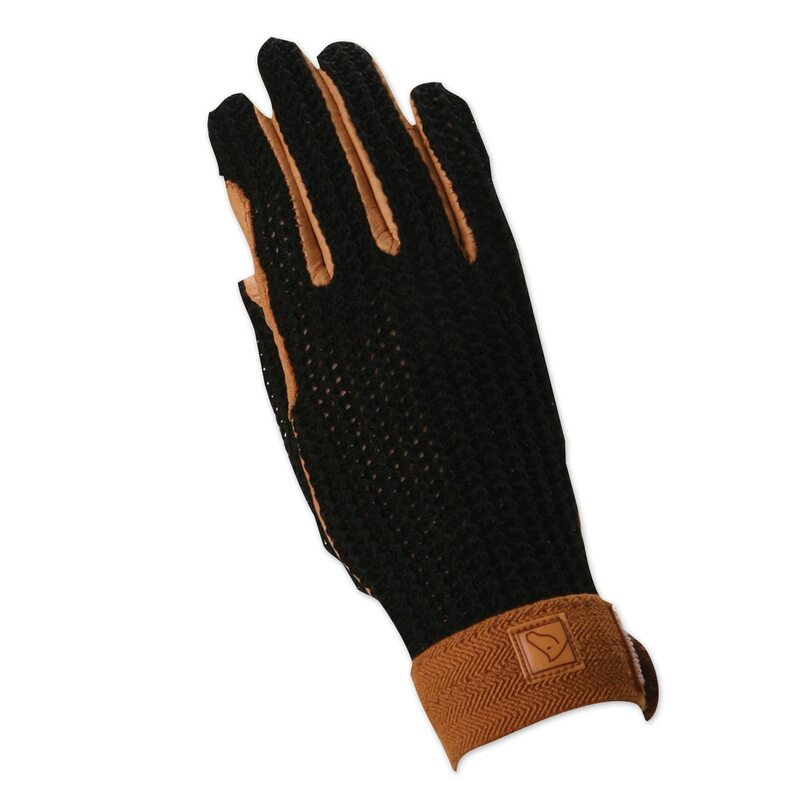 SSG Lycrochet UltraFlex glove is designed with comfort in mind. 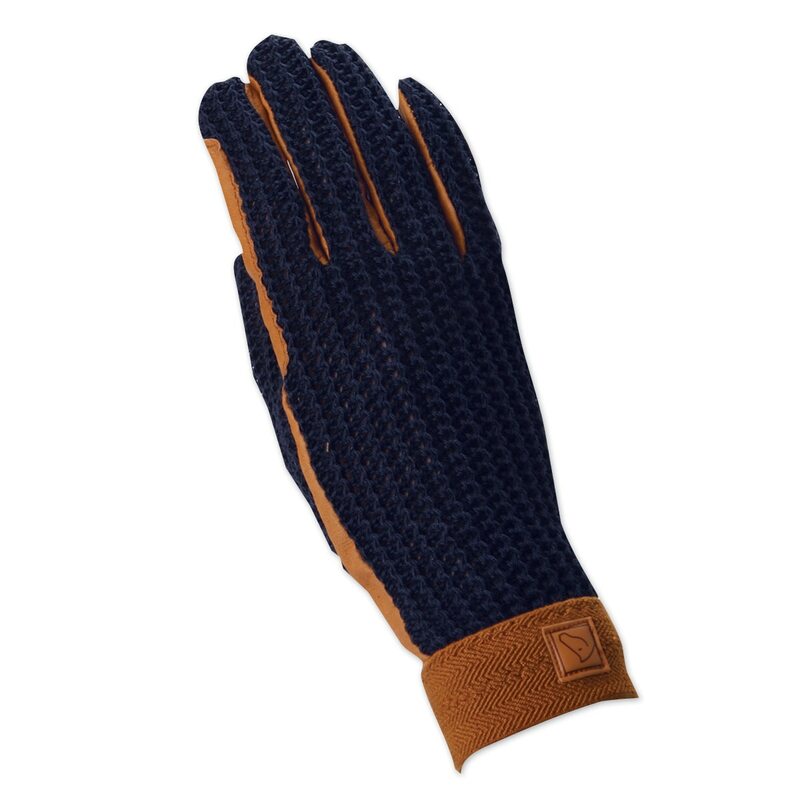 This glove features a pigskin palm with finger rein reinforcements to help prevent wear from daily use. 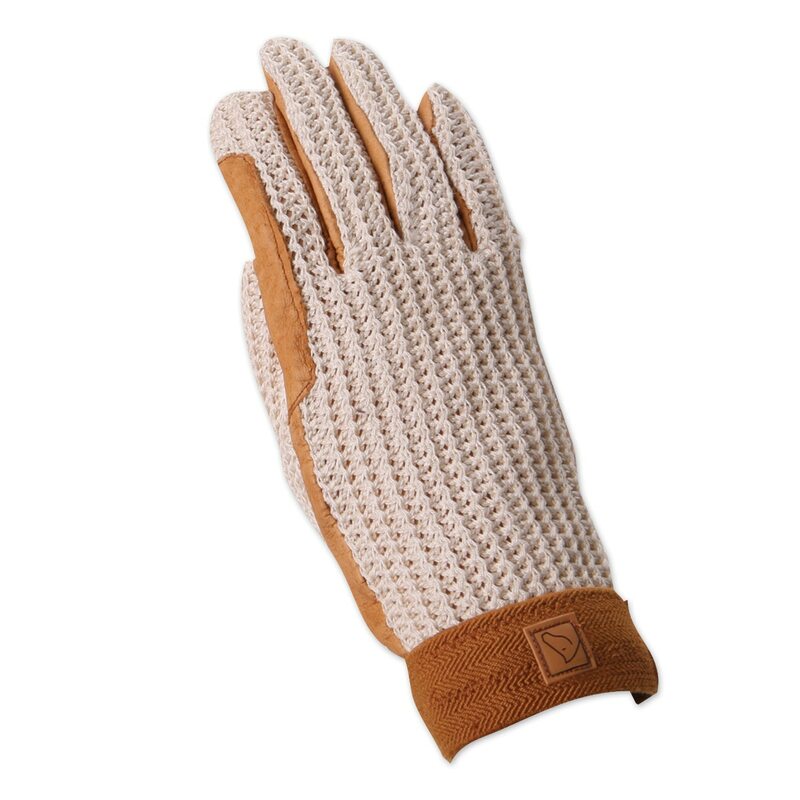 Additionally, this glove boasts a cool crochet back for comfort and style. Hook and Loop wrist closure. To determine your glove size, measure around your hand at the widest part, excluding thumb. The number of inches should equal your glove size. SSG Lycrochet UltraFlex is rated 4.1 out of 5 by 153. Rated 1 out of 5 by Rhodey from Who has a hand shaped to fit these gloves?! The thumbs on these gloves are ridiculously sized. They were somehow too short and too wide to allow me to full my open my palm. While that's fine in the saddle, it doesn't fly with other things I may need to do while wearing them. Gloves shouldn't restrict my movement, period. 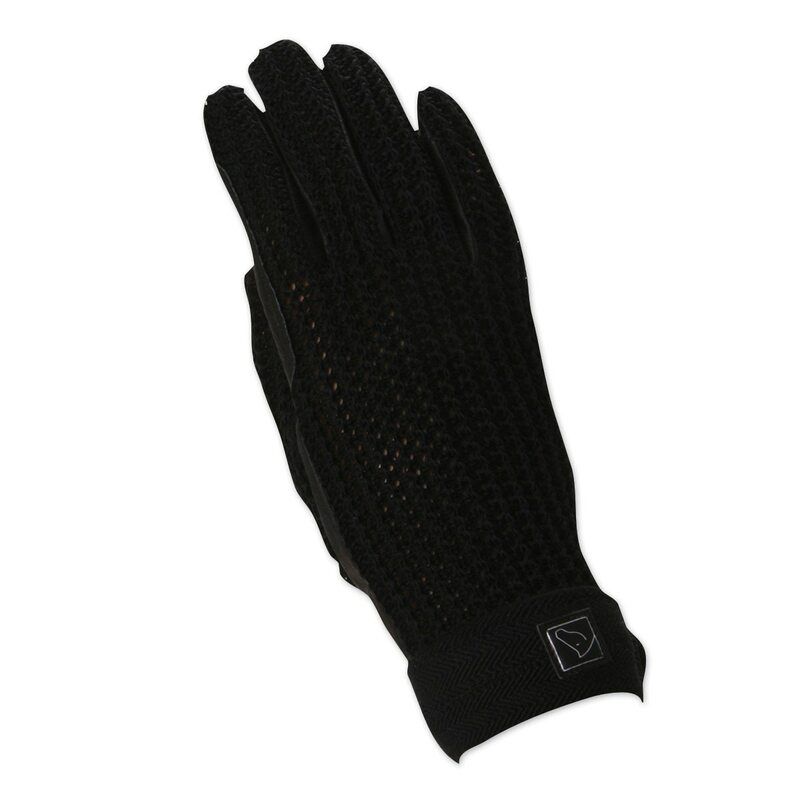 Rated 5 out of 5 by gilla from Great grip I really like these gloves. They seem like they will be durable and I like the leather palm. The only thing I wish is that the velcro went around the back of the hand like Roeckl gloves. Velcro on the inside of the wrist is awkward to do. Rated 4 out of 5 by Anna from Cool and comfortable Bought my 2nd pair recently and had forgotten how much I like these. Fit well, easy on/off. Got the black color this time (vs natural) and I think they will look nice longer. They seem to hold up almost as well as my other gloves but in Fl, with the heat and humidity, I usually replace my gloves every 3-4 months. And these are nice and cool. 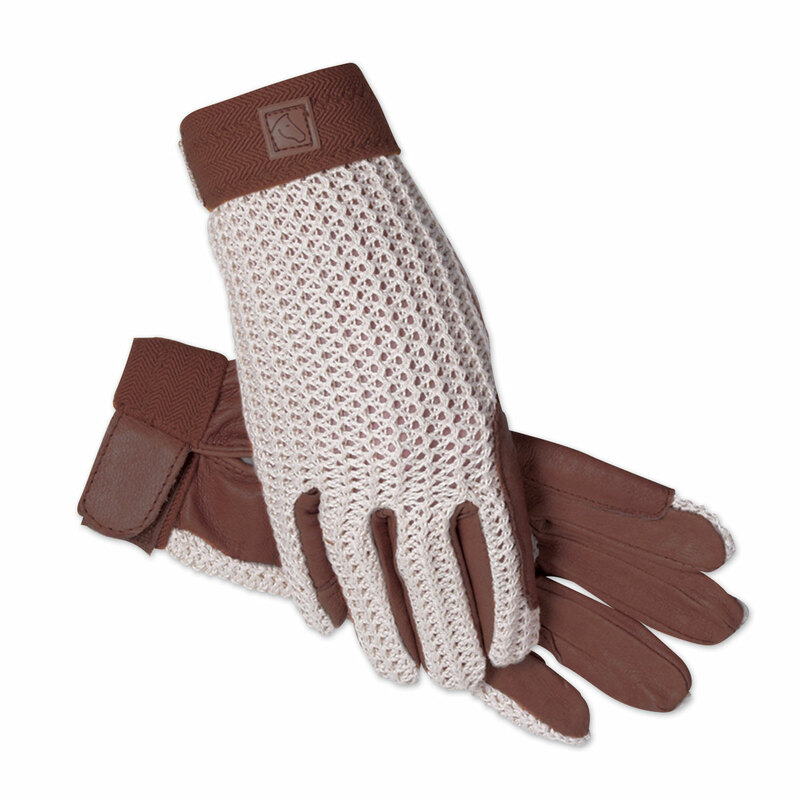 Rated 4 out of 5 by Sedona from Nice glove for summer riding I bought this glove for winter riding, but was not warm. It would be ok in the summer, but is not insulated nor warm as it looks in the picture. Not that it was advertised for winter, but does have the look of a winter glove. Rated 1 out of 5 by RROTTB from Disappointing fit, and poor quality leather I have owned these gloves for years before and loved them. So I ordered them again. I have small hands and sometimes the smallest glove size is still a bit too big. SSG must have changed the way they make these gloves. The gloves came up a good 1.5" past my wrist. They came up way too far. What was strange though is that even with the long wrist the fingers were too short. Who has a long hand and short fingers?... In addition the leather on these gloves is not as good quality as the leather on my older version of these gloves that lasted for years. In fact I venture to think they are pleather...I have returned them. I'd rather make do with my old busted gloves the rest of this summer season and try again for a new different pair next year. Rated 5 out of 5 by Pointworthy from Cool and comfortable I bought these to replace a similar, favorite pair, and they are a perfect fit, very comfortable and yet cooling. I love the color too. Rated 5 out of 5 by npetra from Great gloves! I bought these for everyday riding in the lavender color. They fit well, are well made and do their job! Rated 4 out of 5 by Tammyjay from Perfect for spring and summer! This is my second pair of these gloves. Love them for riding in the warm/hot weather. My only complaint, the crochet can snag on things. Just be aware of this issue. Other than that...they're great!